Scientia Pro Publica -- It's Almost Here! By grrlscientist on February 27, 2010. Scientia Pro Publica (Science for the People) is almost here once more and it is still seeking submissions for Monday's edition of this blog carnival! Can you help by sending URLs for well-written blog essays to the host? Scientia Pro Publica (Science for the People) is a traveling blog carnival that celebrates the best science, environment and medical writing targeted specifically to the public that has been published in the blogosphere within the past 60 days. The most recent edition of Scientia Pro Publica (Science for the People) can be read here: Scientia Pro Publica -- 21st edition. The host for the upcoming 1 March edition will be Stephen at Reciprocal Space, who has never before hosted an edition of Scientia. To send your submissions to Scientia Pro Publica, either use this automated submission form or use the cute little widget on the right (sometimes that widget doesn't upload when the mother site is nonfunctional). Be sure to include the URL or "permalink", the essay title and, to make life easier for the host, please include a 2-3 sentence summary. If you wish to read the archived issues to see those contributions that were included previously, visit the Scientia website for links to archived carnivals. Please note that all essays must be written for the purpose of communicating with the public and non-specialists, and all submissions that qualify as either advertising or pseudoscience will be rejected. Since this is a traveling blog carnival, it needs host sites to travel to (tentative schedule so far). If you are interested in hosting this carnival on your blog, please contact me as soon as possible or notify the current host (please note that I prefer hosts who have had their writing included in one or more editions of this carnival). Scientia Pro Publica is published on the first and third Monday of each month, so feel free to choose a particular date, or I'll assign you the first available date. 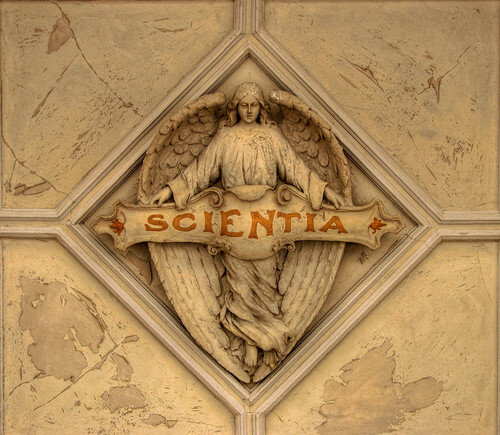 Scientia Pro Publica -- Will Publish Tomorrow!